Snacking has got somewhat of a bad name for itself as it leads to excess weight gain without you even noticing. However, snacking is not necessarily bad, the issue is that the snacks we like the most are high in the things we like the least: bad fats, sugars, and salt. None of these things are good for our bodies and lead to weight gain when we want to be leaning toward weight loss. So while it is obvious that we should not be snacking on crisps and candy bars, it is not always obvious where the big calories lie. In fact, we are often fooled by marketing and ‘diet’ labels into thinking that some snacks are good for us when they do us no favors whatsoever. So the question is, which snacks should you absolutely not pick up while dieting, and what can you switch them out for? It might say strawberry yoghurt, but all that strawberry usually comes from flavorings made from sugar. Little yogurt pots are packed full of sugar and fat. 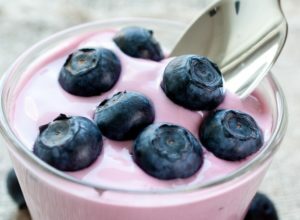 Even diet yoghurts which suggest that they are low in fat or fat-free altogether, often supplement this fat with yet more sugar. When that hits your system, it will lead to an insulin rise which will tell the body to store fat. Instead switch those mini pots out for natural, greek yogurt and add on fresh toppings instead. A spoonful of raw honey is a great sweetener with amazing health benefits, while slicing up a strawberry or banana on top will add something delicious, fill you up with fiber, and pack in extra vitamins. 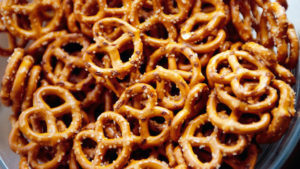 Pretzels may seem like a light snack, but they are extremely bad for you. Not only do they consist of simple carbohydrates which turn to sugar in your system, spiking blood sugar levels, they are extremely high in sodium. While some sodium is good for you, too much leads to excess water storage and bloating, which is bad for the kidneys and makes you look fat. Instead of pretzels, grab a handful of nuts. If you need a little saltiness, even salted nuts tend to have a quarter of the salt that pretzels have while providing protein, good fats, and plenty of minerals. 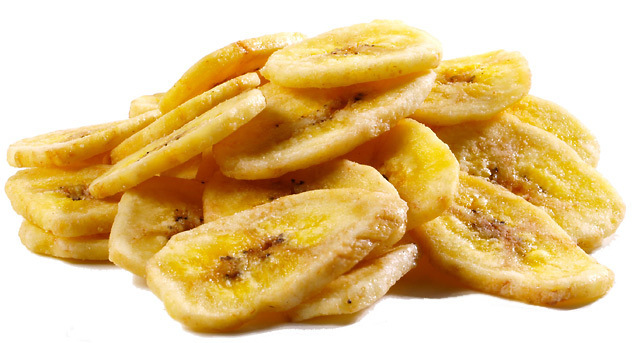 Banana chips are terrible for you. They may seem like a healthy choice but they are usually fried, meaning they contain a lot of bad fats. Equally, the reduction in water means that you will end up eating far many more than if you just ate a banana itself. Lastly, they are usually covered in sugar to add extra flavor. If you are craving something sweet, you might reach for a pudding cup. This is a terrible idea as they are full of sugar and simple carbohydrates. However, chocolate is not necessarily bad. You can supplement your pudding cup with dark chocolate (over 70% cocoa), which is rich in antioxidants as well as containing more satiated fiber, which keeps you fuller longer. So, think next time you snack. If you want a flat belly, you need to consider the hidden sugars and salts in food and how that affects your body. You do not have to avoid snacks altogether, just try to replace the unhealthy with a healthier version to keep you fuller for longer, while also dropping the pounds and packing in your vitamins and minerals. You can also support your weight loss with supplements such as ‘Flat Belly’. While exercise and diet are the key, why not have a little helping hand!